We’ve had some fun digging up Reddit drama over the last few months, but can you blame us?? Some of these message board posts are actually insane. We can’t help but LOL, but in reality we’d probably be flipping tables if any of these things happened on our own wedding days. And the most recent one we found can seriously put any other bridesmaid-zilla stories to shame, because this request from one beyond-ballsy maid is bizarre and then some. 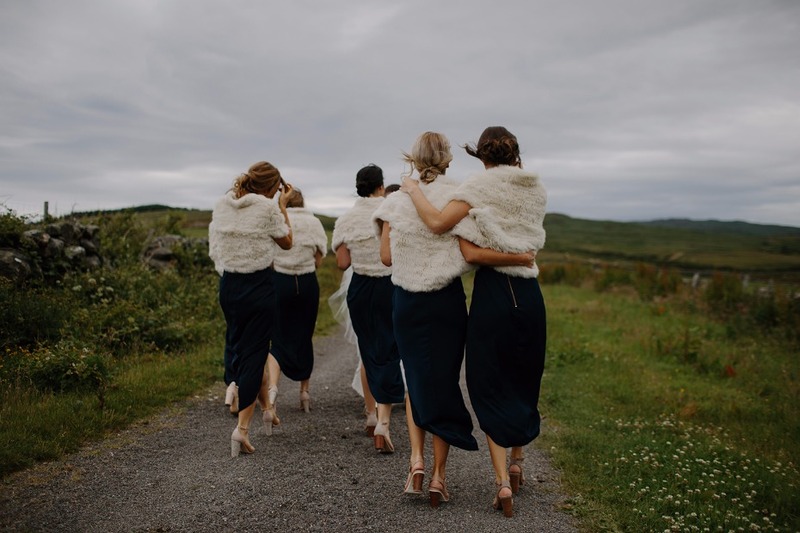 Well, the query returned nearly 5,000 comments from married folks about their nightmarish nuptials, but a response from one bride about her bridesmaid (not guest, but still okay) stood out, because it is so sassy that WE can’t even. Now, first, props to the photographer for shutting that sister up REAL fast. Secondly, sbashe5 you have ridiculous restraint, because if we knew something as shady as this was happening under our blissed-out newlywed noses, we would have gone a little nuts. It’s as easy as that, really. The couple has invited you to be part of their special day, and in return, they expect you to behave - at the very least, not pull their photographer aside and ask him/her to take time away from the newlyweds to snap a few extra pics for you. Understand, too, that your ill-advised attempt might cost you a friend or two in the process. Is it worth it? Realize it’s not about you. Congratulations on your engagement, that’s truly really great - best wishes! But you’ll have your moment in the spotlight, don’t try to temper this bride’s thunder. She’s waited a long time to be able to have it. Instead, make an honest effort to make her day the least stressful it can be. Get her champs, help her pee in her dress, offer tissues to dry those tears. Whatever she asks, you’re hers for the day. Oh, and also don’t forget - someone PAID for this photographer for the day, and they didn’t ask for a buy-in-bulk discount…. Let the photographer do his/her thing. Ask for a card later. Okay, so here’s a little somethin’ somethin’ to consider. Being engaged and planning a wedding is hard work. It’s tedious and takes time to find the right vendors to fit your vibe, and go on appointment after appointment before booking. If you’re THAT impressed with the photogs at your friend’s wedding, then wait for a break for food or even after the wedding, to ask them about their availability for YOUR day. Make it your OWN memory. Sure, photographers do a ton of guest photos - taking pics of couples dancing, toasting the bride and groom, catching the bouquet/garter, and it’s a great keepsake. But make no mistakes, even if you and your wifey/hubby to be happen to steal a sweet snap that you couldn’t nail on your own iPhone, don’t look at it as an engagement photo. Instead, prepare for your own session. Find the shutterbugs that suit your style, shop for outfits that you’ll look your best in, choose a location that means the most TO YOU GUYS, and make your own shot list.